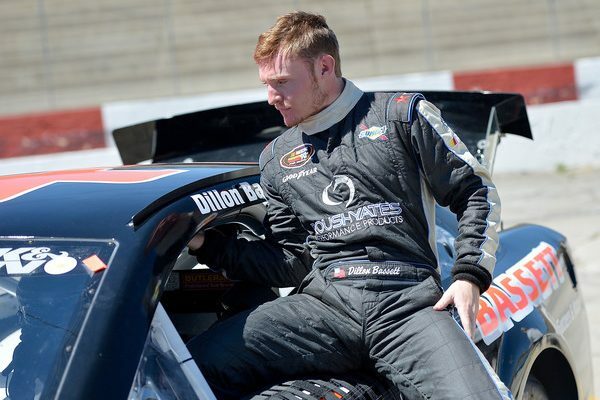 22-year old Winston Salem, North Carolina native Dillon Bassett made his first start in the NASCAR Xfinity Series on Friday evening in the Toyota Care 250 from Richmond Raceway. 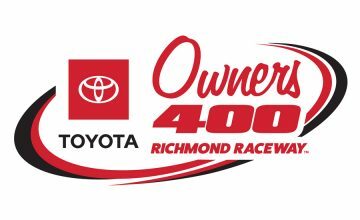 The Xfinity Series only saw one practice from 8:05 to 10:00am on Saturday morning and Bassett was fast from the get go. Bassett behind the wheel of the No. 90 Bassett Gutters and more Chevrolet for DGM Racing would finish the lone practice in 10th position after running 69 laps. With afternoon qualifying rained out, Bassett wouldn’t get to show that same speed in qualifying. However, he would start the event in the 33rd position but would steadily work his way towards the front of the field. Bassett quickly found himself running in the top-15 in the first stage, finishing the stage out in the 18th position. When a caution occurred during the second stage involving fellow competitor Jeremy Clements, Bassett and his team chose to not pit and take advantage of track position. The No. 90 restarted 4th with only 13 laps remaining in stage two. When stage two came to an end Bassett would find himself scored in the 19th position. Bassett spent the final stage of the race running in the top-20 running order, battling back and fourth for positions 15th through 20th on multiple occasions, ultimately finishing the event in the 15th position. A very consistent, clean race for the young driver in only his first start in the NXS, to come away with a top-15 is huge, especially for him and his small team in DGM Racing. Don’t be surprised if these kind of results become a regular thing with a Bassett behind the wheel. His brother Ronnie Bassett Jr., wheeled this same No. 90 Chevrolet for DGM to a 15th place result at Texas Motor Speedway in just his second career start in the series. However, it’s important to note that Bassett is no stranger to a race car. Bassett ran the K&N Pro Series East over a four year span from 2015 to 2018, capturing 1 win, 22 top-10’s, and 10 top-5 finishes in 49 career starts. 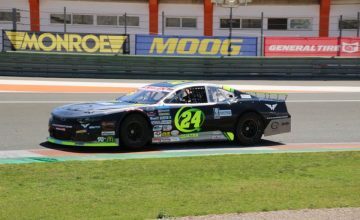 In 2017, Bassett ran one race in the K&N Pro Series West capturing a top-5 finish at Bakersfield in his only start in the West Series.